I jokingly say that it’s just a matter of time before our bodies merge with technology and we transform into robo-humans. Click here to learn 6 Ways To Relieve Text Neck. First, allow me to clarify that I’m excluding individuals who suffer from specific spinal conditions. Our spines are generally capable of handling certain loads and stresses without injury. If not, we would all be suffering from some form of spinal damage each time we carried something heavy or engaged in activities requiring us to be in less than ideal postures. 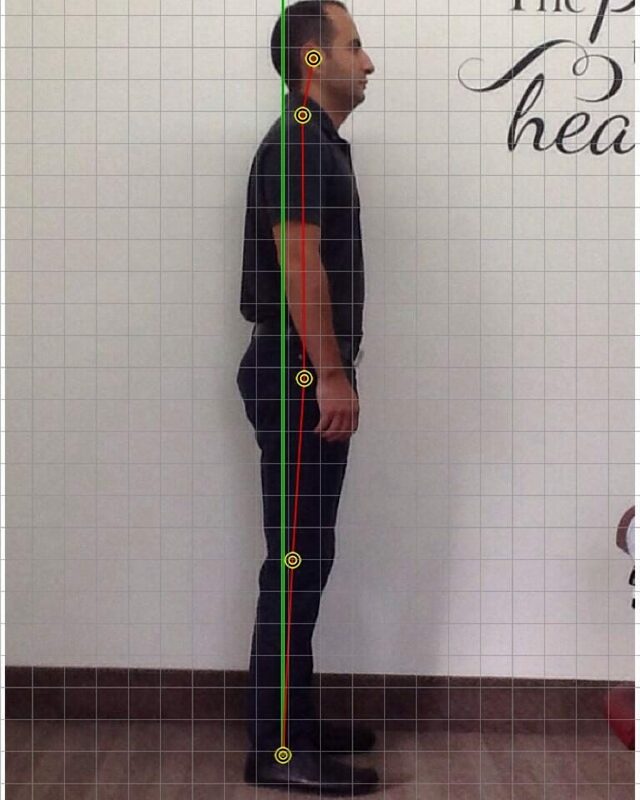 This doesn’t mean that repetitive movements don’t have a detrimental effect on our spines long-term. Rather that we are built to take on high amounts of physical stress. Due to gravity, our bodies constantly endure downward stress on our spines. This usually occurs without injury every day. 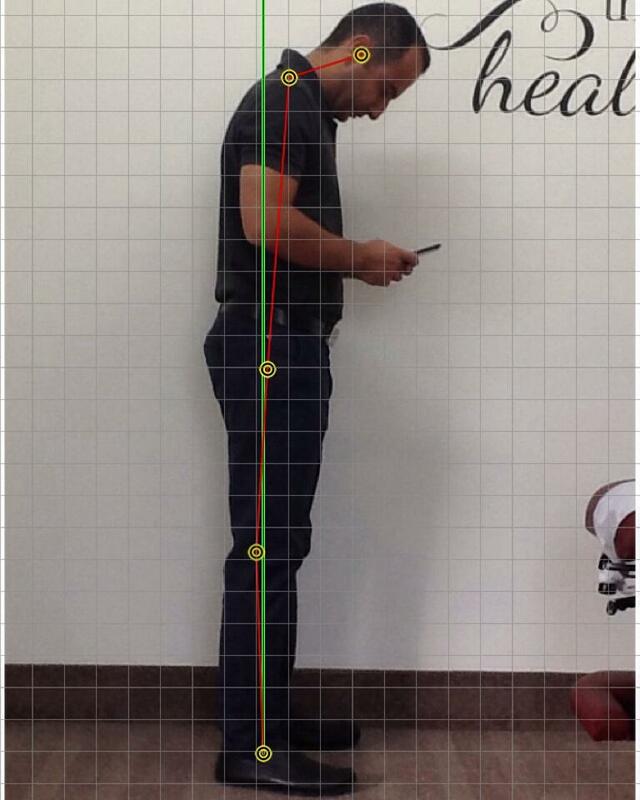 There is an argument to be made about what the “ideal” posture is to minimize the amount of stress on our spines. For the purpose of this article, it’s important to note that the ideal curvatures of the spine are based on theoretical models that are published in reputable peer-reviewed journals. 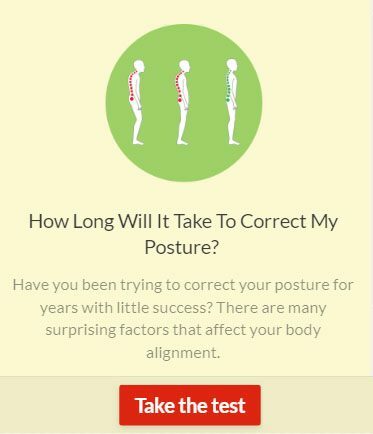 (1) Click here for Exercises to Help Improve Your Posture. As a practicing chiropractor, I have seen first-hand the clinical benefits of reducing excessive curvatures in my office. Patients who had their mis-alignment addressed have reported less aches and pains, improved breathing, better sleep, and overall improved physical function. As your head leaves the plumb line it effectively weighs more. The effective head weight in some individuals can result in it weighing as much as 60lbs more than their natural head weight! Can you imagine the consequence over time of that posture on our bodies?! This leads to an increased demand on the soft tissues of your neck and back to hold the head in a forward position for an extended amount of time. Obviously, limiting the amount of forward and flexed head posture to shorter durations helps to minimize the stress on your body. Since our spines are resilient, it is able to withstand these movements under normal circumstances as stated earlier. Otherwise, we would all be suffering from neck and back pain every time we used our mobile devices. This is the point at which we may start feeling the effects on our bodies. Strain on our muscles, joints, discs and eyes are entirely possible if we are using technology for most of the day. It’s also possible that we will ultimately feel the strain after having our head forward and flexed for a long period of time. In my opinion, this is a learned behaviour and as such can be unlearned. Therefore, try to limit your exposure to mobile devices for short periods of time. But the reality is that technology and the applications that we are accessing on our mobile devices are highly addictive. This causes us to keep our heads glued to our phones or tablets for an extended period of time. Many cell phone manufacturers now include a timer with the newest operating system update in order to detail the amount of time you spend on your phone. I would argue that these companies knew all along just how addictive their products were, as it was built into the design. 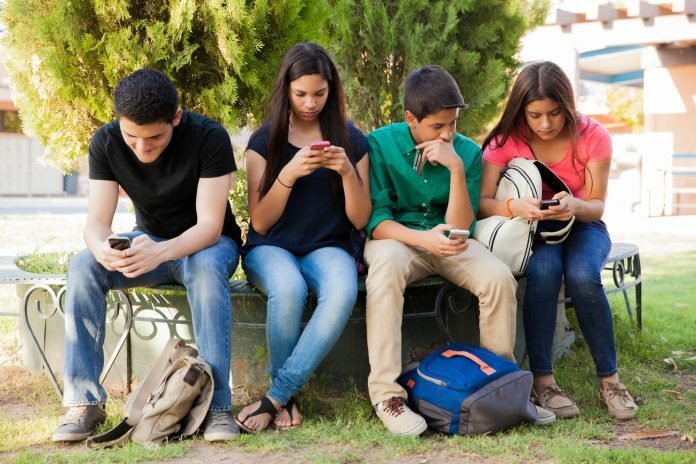 Limit your use of cell phones to help protect from text neck. Pay attention to the metrics of phone use and see where most of your time is spent. If social media is the culprit, assign a specific time during the day that you will check your news feed. Get out of the habit of feeling “FOMO” (fear of missing out) when checking social media. Set the notifications on your device to OFF no matter how many times the app reminds you to do otherwise. This way the device doesn’t rule over you and you avoid constantly checking your phone each time you receive a Like, Share, or Comment on social media platforms. If after trying all these tips you still find yourself in pain, consult with a health professional trained to address your concerns. See a Chiropractor! The master system controlling all your body’s function and healing is your nervous system. It controls all your muscles, cells, glands, organs, and tissues. Removing interference to your nervous system and addressing the underlying cause of your problem is the only way to truly heal. Click here to learn more about your Nervous System – What Conventional Medicine Doesn’t Want You To Know.